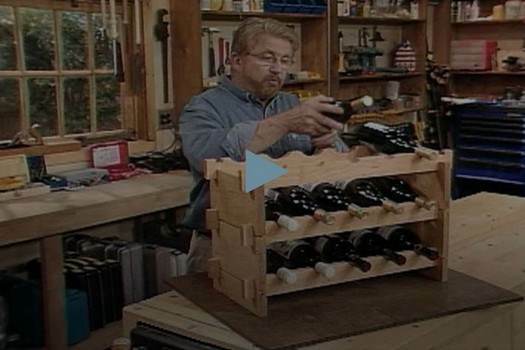 Building a wine rack can be an easy and enjoyable project. 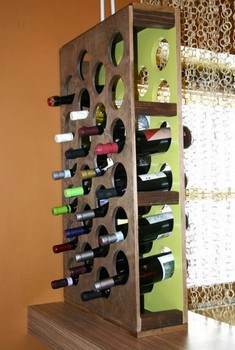 And you can build a wine rack for less than half the cost of buying one. 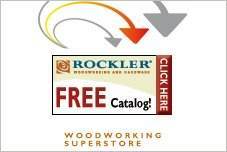 Figure out the size and height of the wine rack you want to build. 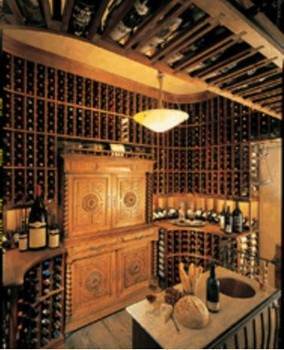 The best design is one that will hold the wine bottles horizontally and will contain most of the wine bottle inside the wine rack. 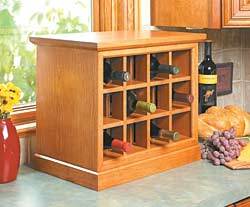 Choose from many free table top wine rack plans below including countertop wine racks and stackable wine racks and more. 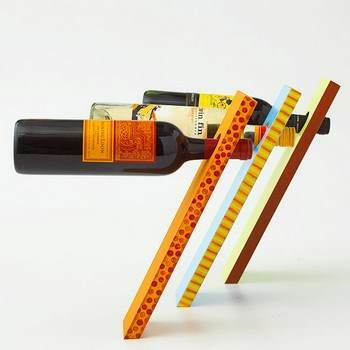 Display your favorite wines by building this stackable wine rack. A perfect accessory for any modern home, this compact wine storage cabinet fits anywhere inside your kitchen. It also fits a compact wine chiller to keep your wine cool and tasty. 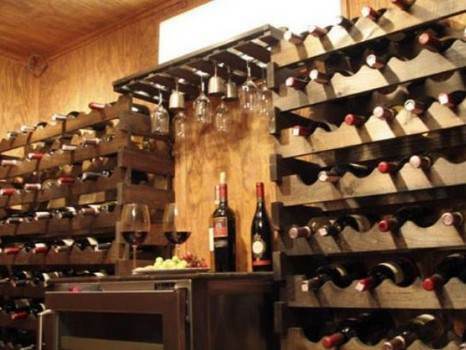 Nice looking wooden wine rack that holds 12 bottles of wine. This is a great project that is easy to expand. 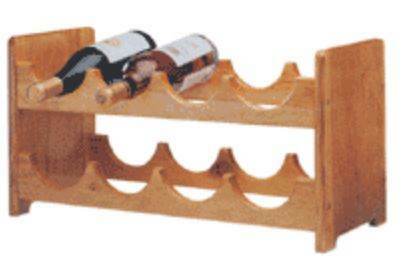 This wine rack holds 8 wine bottles and has an attractive classic design. 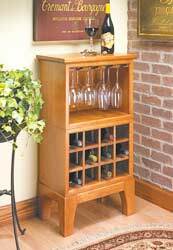 Here is a handsome wine rack that is 32 inches wide and houses 13 bottles of wine and your favorite wine glasses. This is more of a unique item then a rack. Great as a gift or craft show idea, this balancing wine bottle defies gravity. 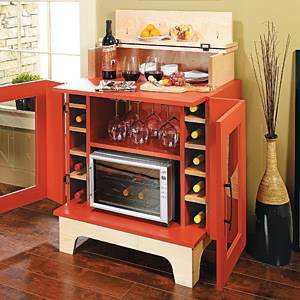 This tall wine rack would work either on your countertop secured to the wall, or on the floor. Build this lovely modular wine server that will hold up to 12 bottles of wine. This wine server sits on the floor as its own piece of furniture. Here is a project for a wine buffet that holds up to 36 bottles of wine, has a hanging wine glass area and top counter space. 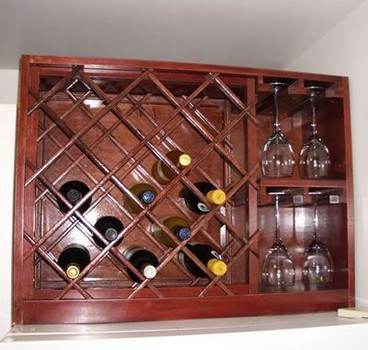 This modular wine rack will grow along with your wine collection; all you have to do is build another unit. Plans for a large storage wine rack that can easily hold up to 162 bottles of wine. 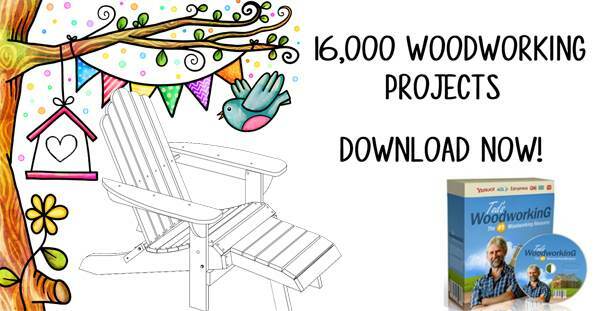 Great for placing in a wine cellar or your favorite part of the home. 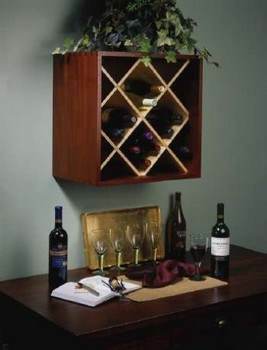 This is a very simple wall-mounted bottle storage rack to display your wine collection. 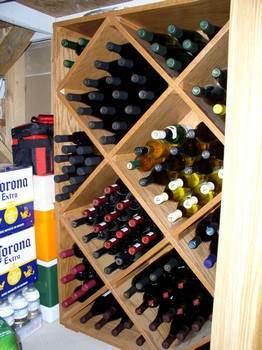 House your wine collection by building a wine cellar in your basement with this easy to follow plan. A Case for Wine plan. 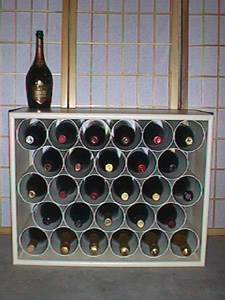 How to build an inexpensive wine rack out of PVC pipe. 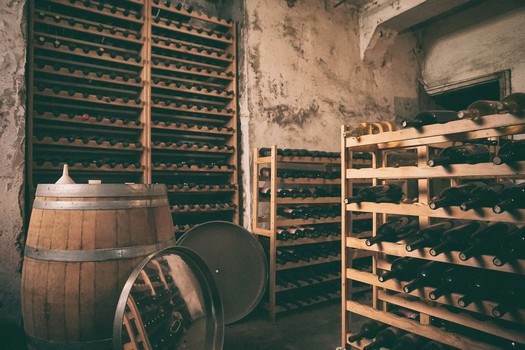 This is a plan for building a wine cellar that has all the required necessities.